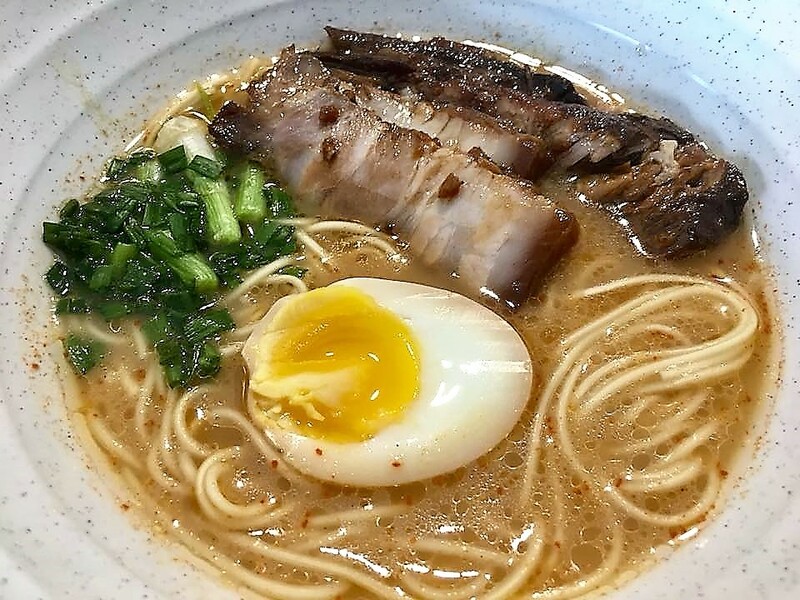 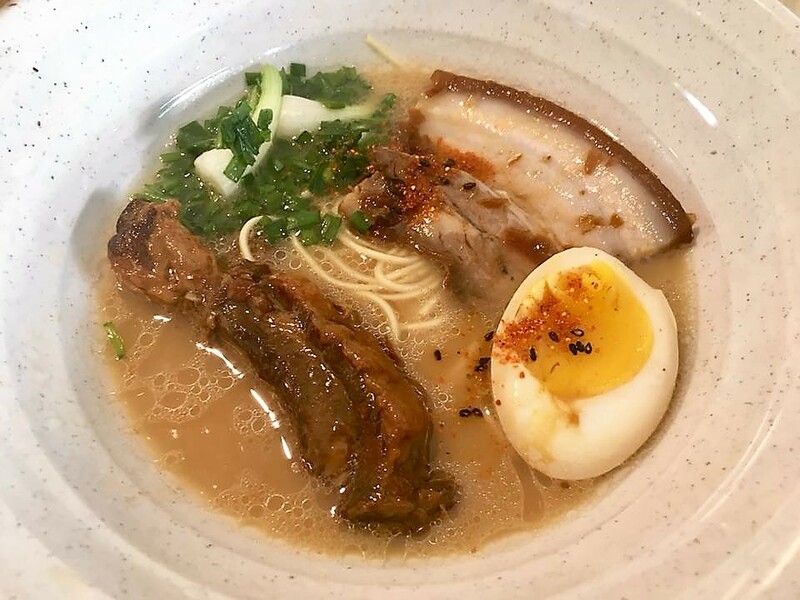 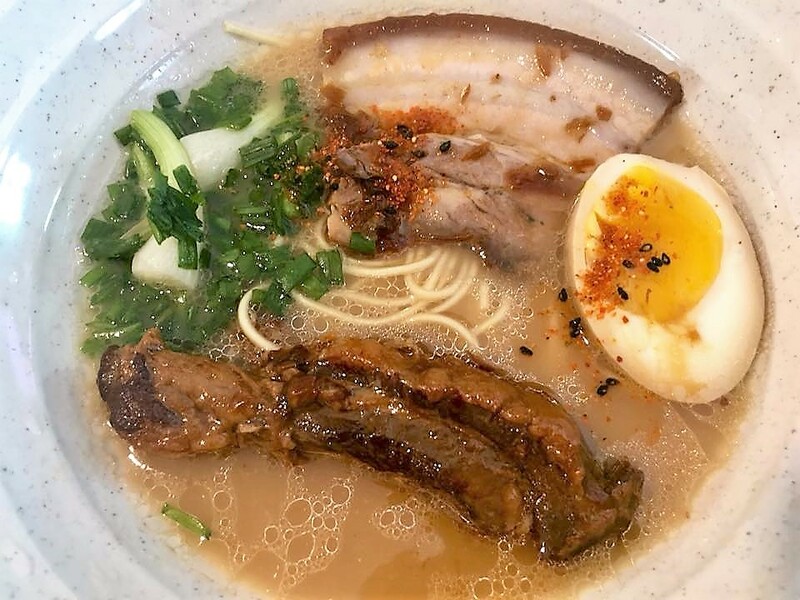 we arranged to have ichiran ramen, which the few of them all bought in kyoto during our april sakura tour..
& also a 6mins runny yoke egg..
HC’s wife made one of the best ngoh hiang i had..
my chashu was excellent today. 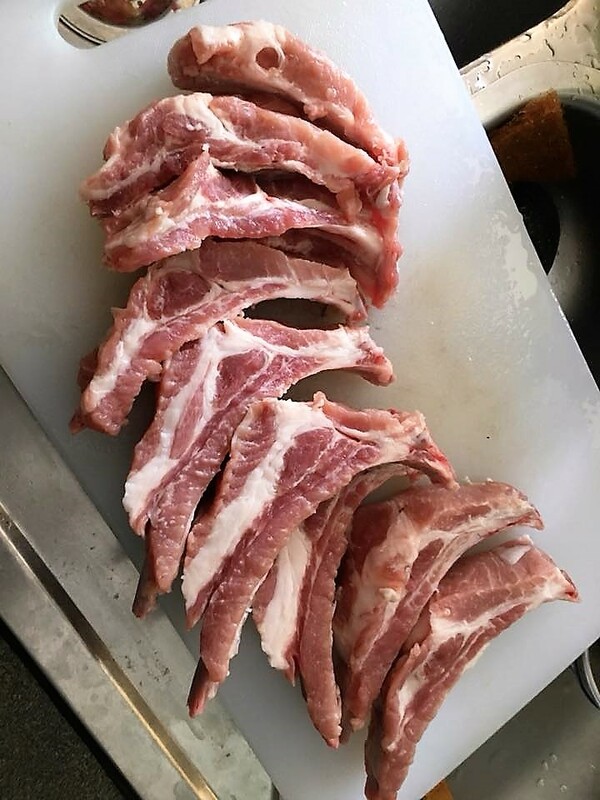 this time i used the http://www.seriouseats.com method for chashu pork = 3.5hrs in 130degC oven, then kept in fridge overnight. 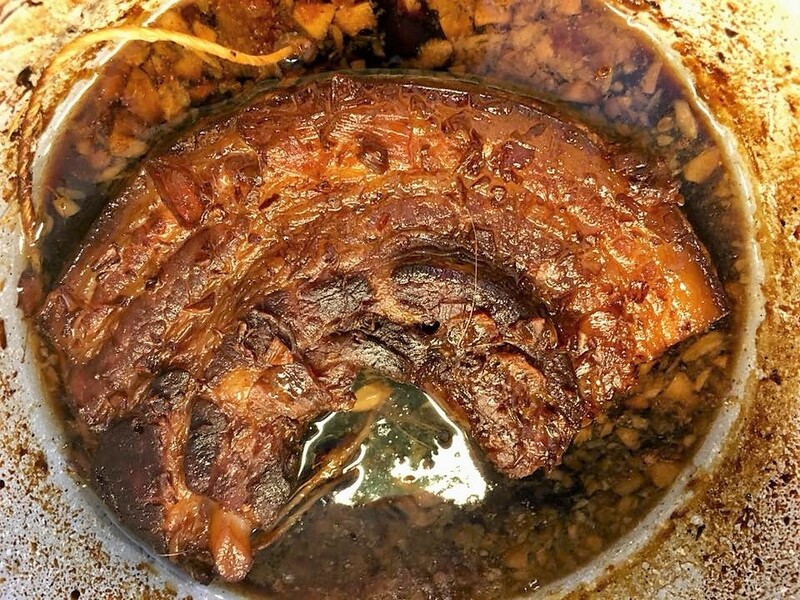 very tender chashu with a good bite texture..
i used the chashu sauce, added a 1tbsp dark soy sauce, to braise the pork colar for 2hrs. 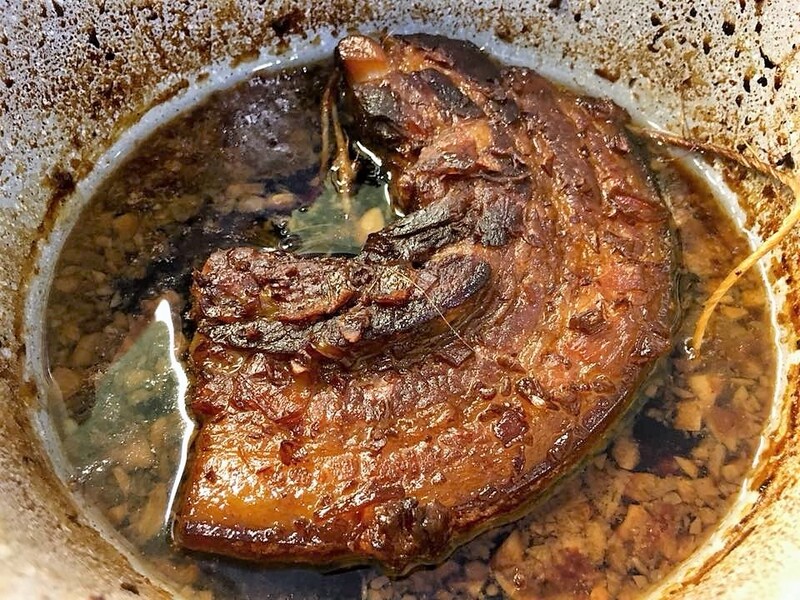 the braised pork collar were excellent too. 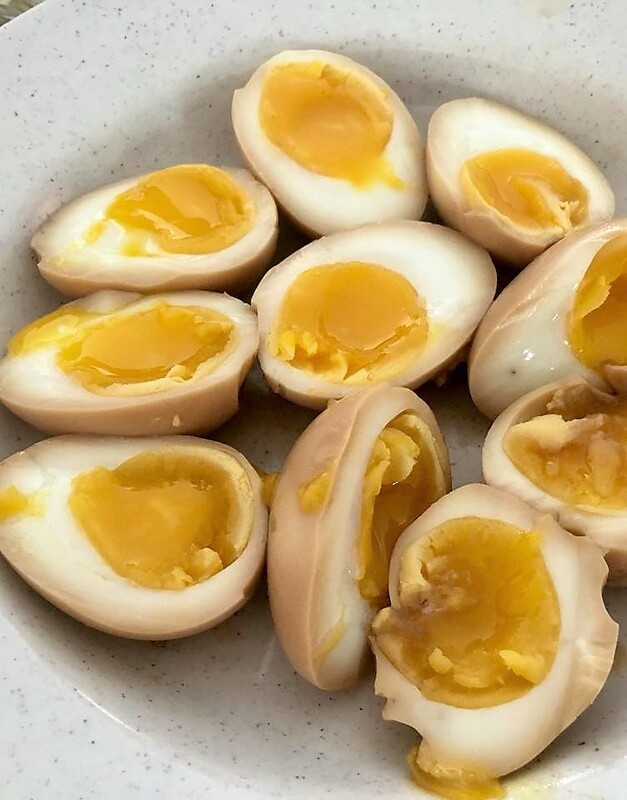 & the usual 6mins runny yoke egg. 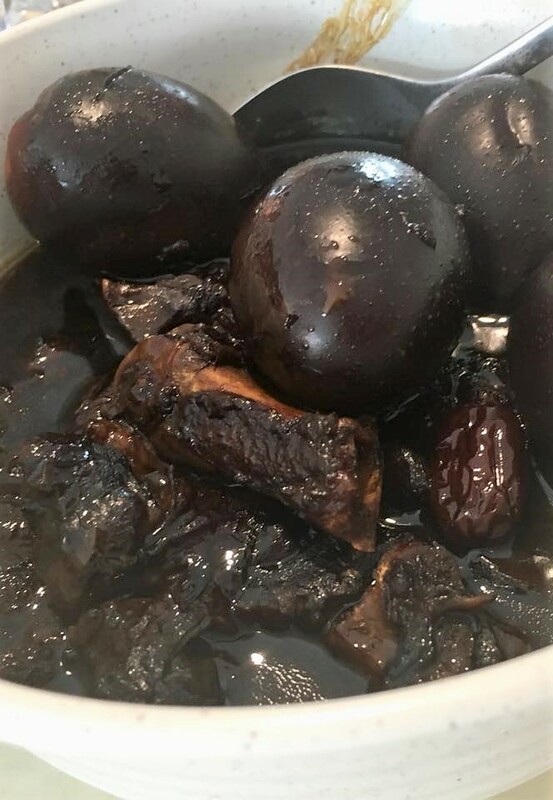 i have not made these for 2+ years. 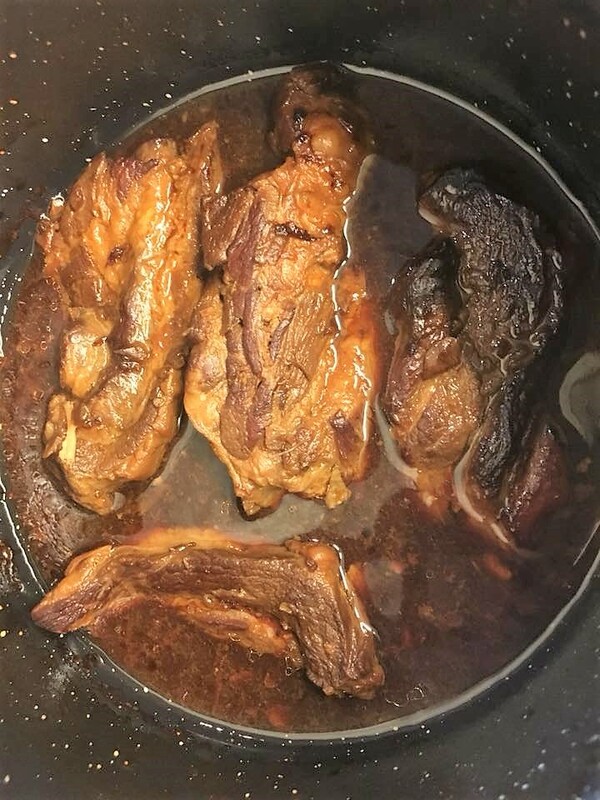 they were still good. 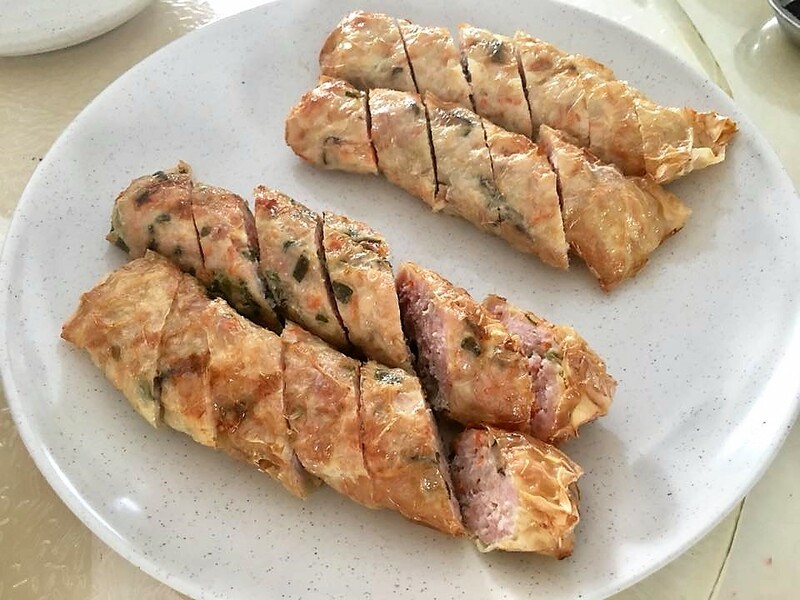 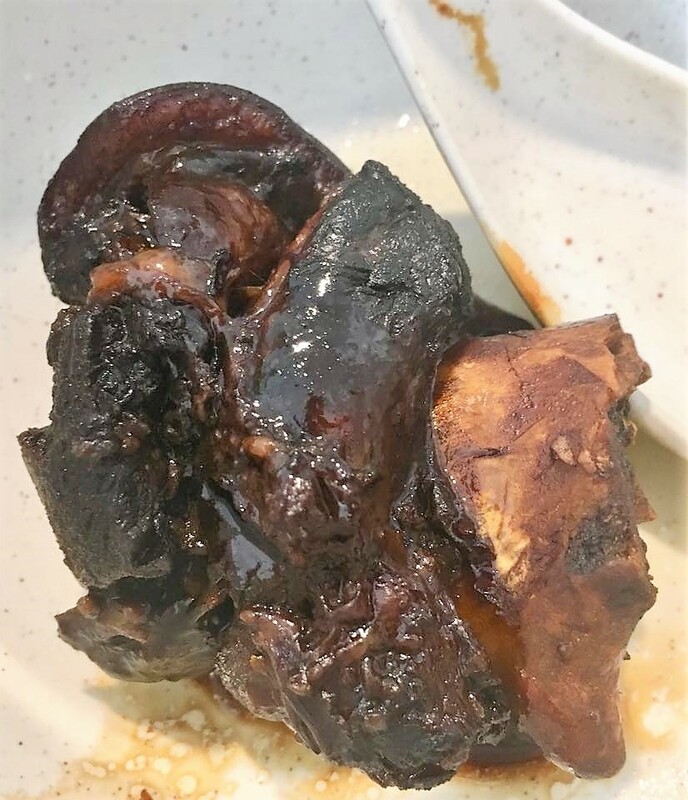 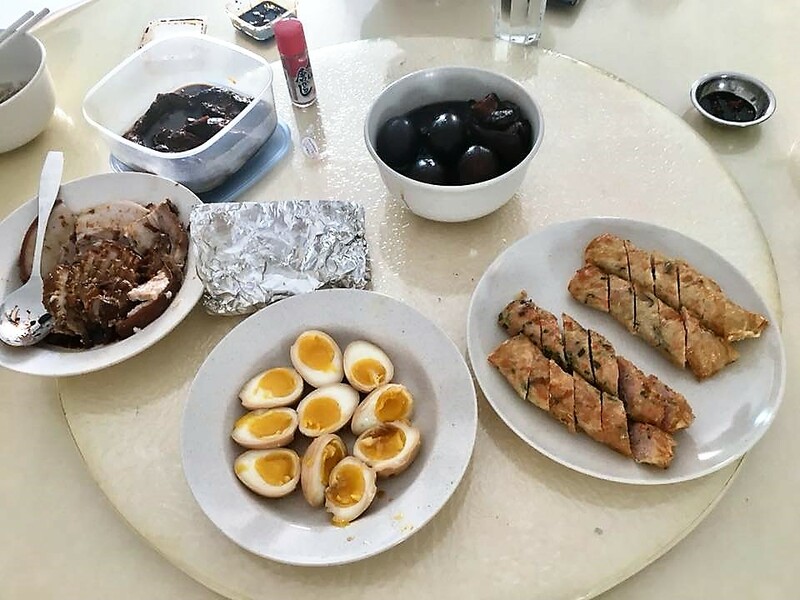 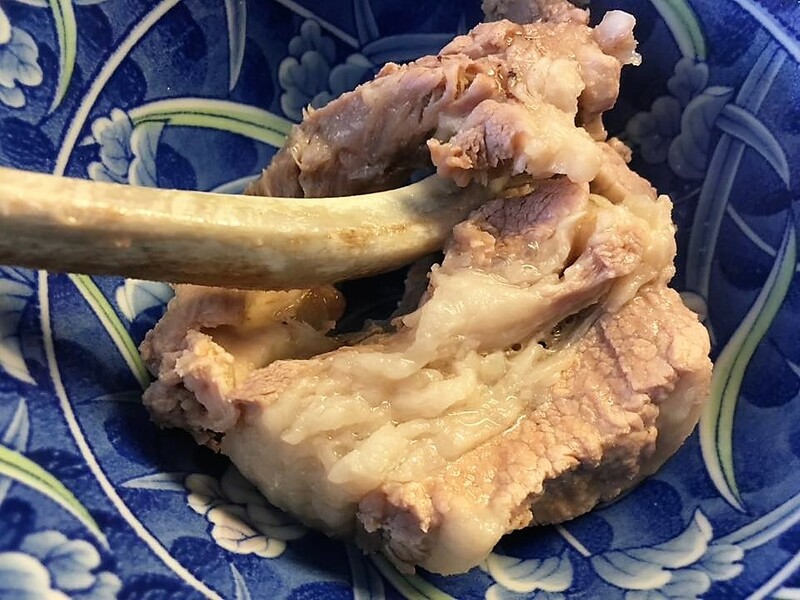 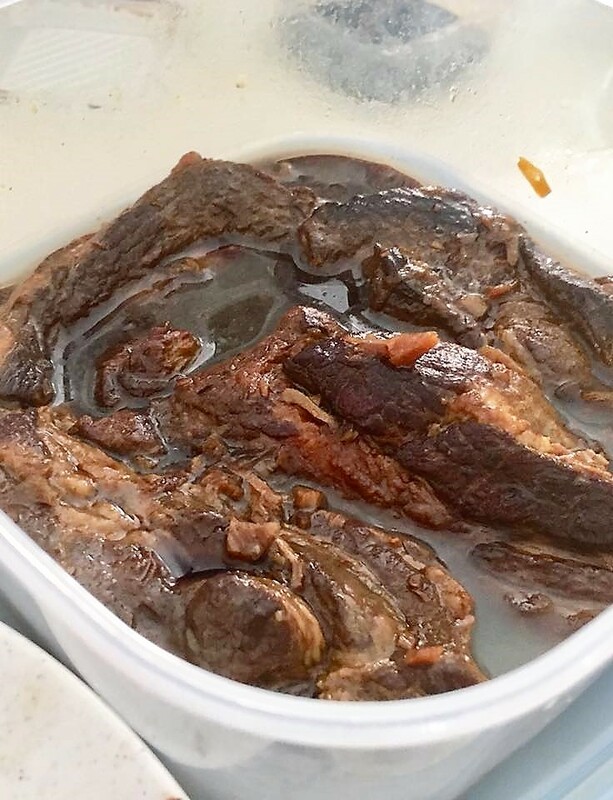 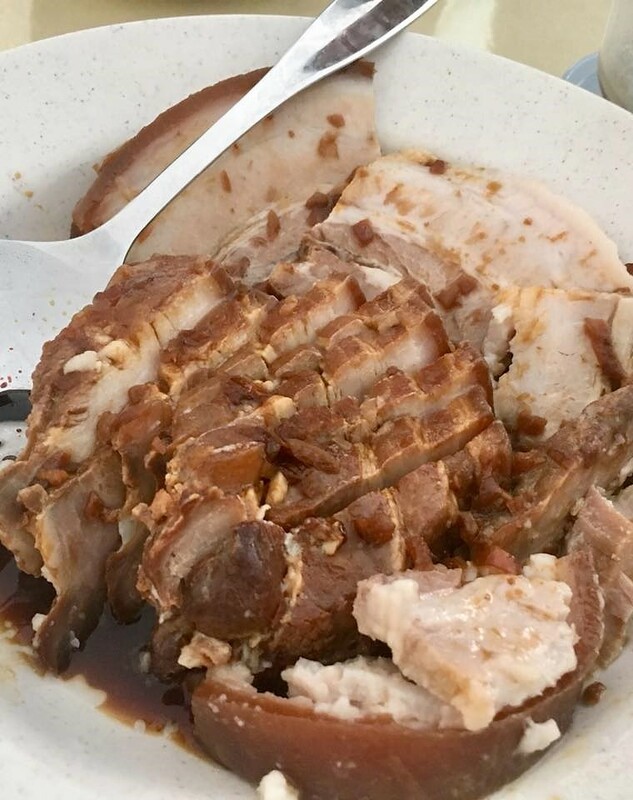 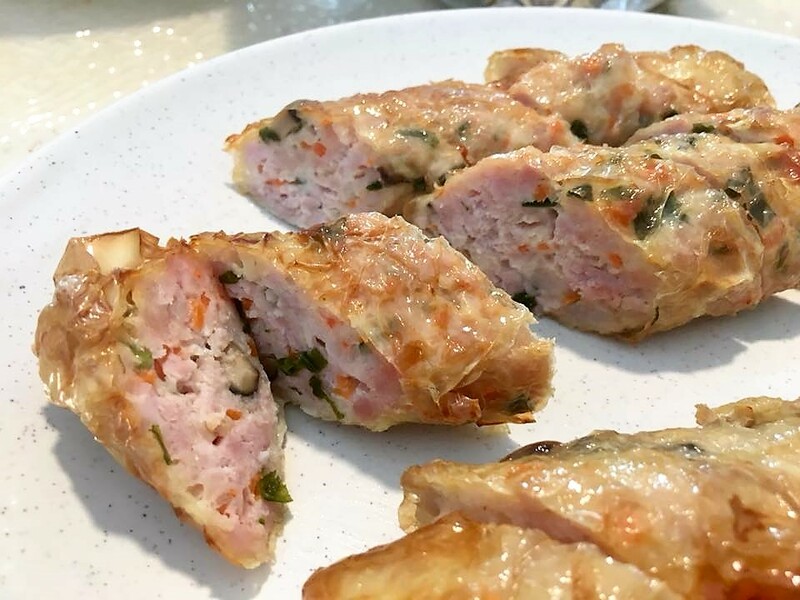 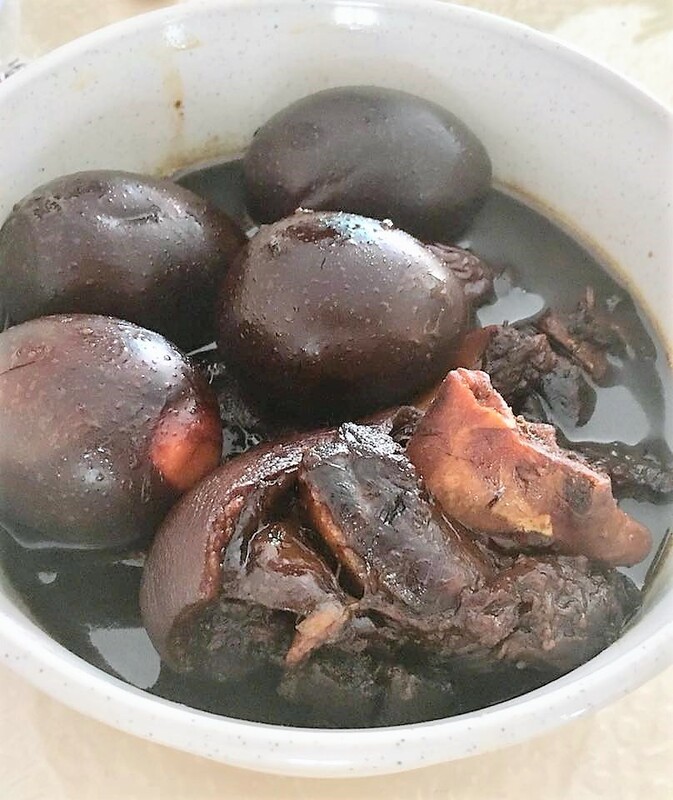 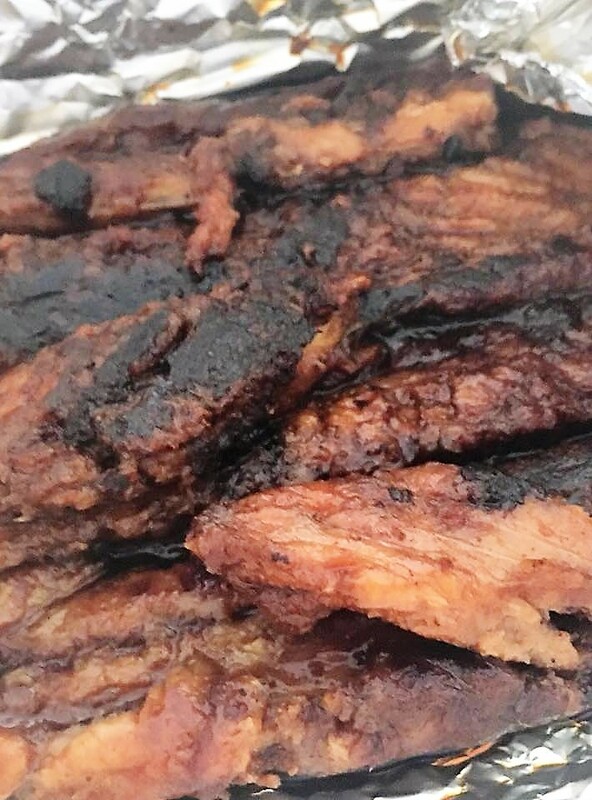 the bakuteh was really delicious, thanks to the very meaty & marbled fresh prime ribs i bought at sheng shiong clementi ave 2.
the ribs had a wonderful bite texture, & perfectly tender.